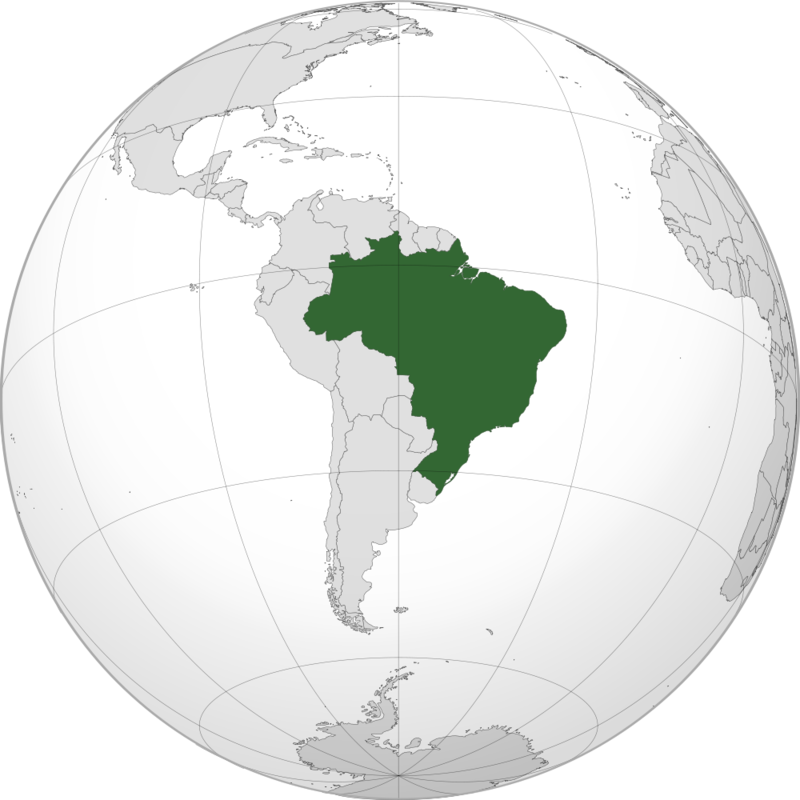 Brazil is officially the Federative Republic of Brazil. It is the largest country in South America and world's fifth largest country, both by geographical area (total area of 8,514,876.599 km2). It borders all other South American countries except Ecuador and Chile. Its official language is Portuguese and its federal capital is Brasília. Its population is estimated in 193 million people (projection for 2012). The climate of Brazil is predominantly tropical. The largest city in the country is São Paulo with 11,316,149 inhabitants. Brazil appears as sixth economy in the world (sorted by their gross domestic product). Brazil location in terrestrial globe. Brazil receives weekly international flights from the five continents. Much of these flights comes to São Paulo and Rio de Janeiro (main international hubs). However, recently other cities began operating international flights (in alphabetical order): Belém, Belo Horizonte, Boa Vista, Brasília, Fortaleza, Macapá, Manaus, Natal, Recife and Salvador. Some internacional flights with destination to Brazil.